Shurtape UK brands include market-leading Duck Tape® and FrogTape®. Duck Tape® was relaunched in the UK in 2010 and has become the UK’s favourite and Number 1 DIY tape brand. FrogTape® Painter’s Masking Tape - the award winning product - was launched in answer to consumers who had become disillusioned with traditional masking tapes on the market, and who demanded a straight line finish. 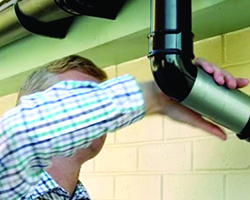 FrogTape® is the only painter’s masking tape treated with PaintBlock® Technology. 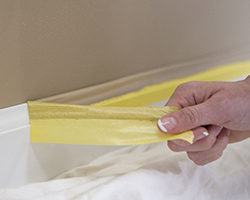 PaintBlock® is a super-absorbent polymer which reacts with emulsion paint and instantly gels to form a micro-barrier that seals the edges of the tape, preventing paint bleed. The result: Very sharp paint lines and less time spent on touch-ups! 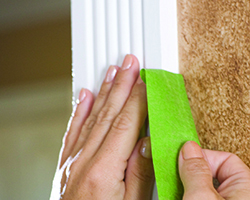 For best results, always remove FrogTape® immediately after painting. Ferociously strong tape from co-extrusion technology, designed to prevent de-lamination of the tape. UV resistant layer built in to its tough skin, giving it long lasting durability and staying power to last through all types of weathers and temperatures.